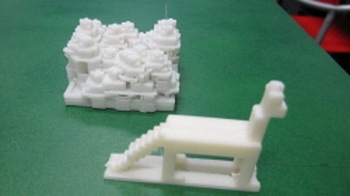 Twenty one students, contributing as a team, designed buildings and structures in Minecraft which were then 3D printed and placed onto a platform. The end result is a very large model of the city measuring 2.4m by 0.6m. We created a city model consisting of structures built in Minecraft. 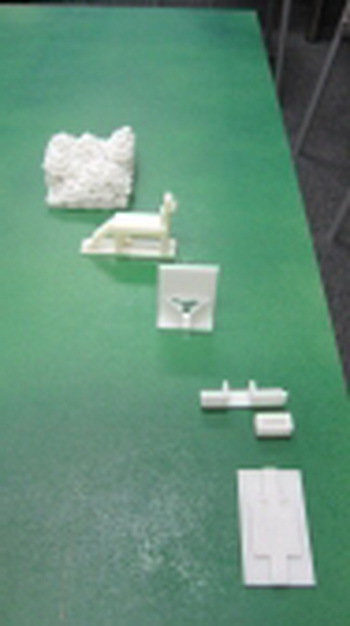 The structures were then printed with 3D printers (UP Plus 2 and UP mini) using ABS plastic filament. The scale used is 1 block in Minecraft to 1mm of printed material. The entire model city measures 2.4m by 0.6m. The project took 14 days from design to completion. This project was performed at an office located in Blackburn, Victoria.